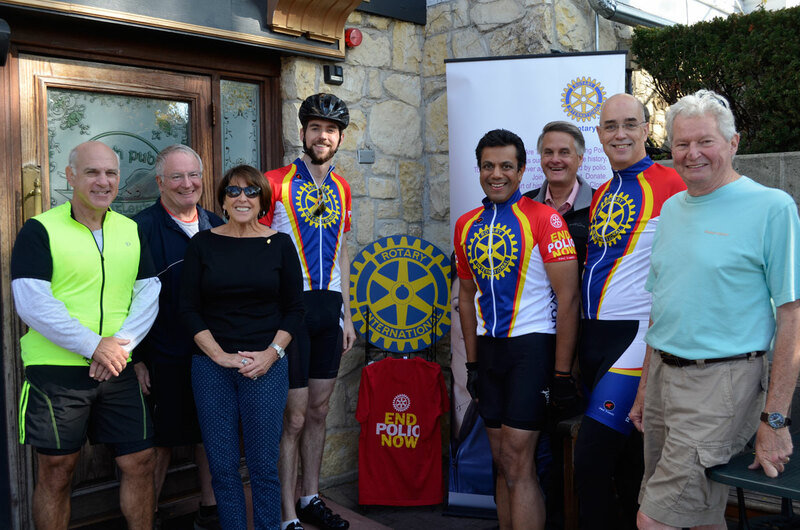 Registration is now open for the 23rd Naperville Rotary Ride 8.11.2019. The Ride will start and end at Commissioners Park located at 3704 111th St. Naperville, IL 60564 on Sunday, August 11, 2019. ALL REGISTRATIONS ARE FINAL. No refunds, exchanges or transfers. The Ride will take place, rain or shine. Plenty of Parking is available at the Ride Start and Finish. 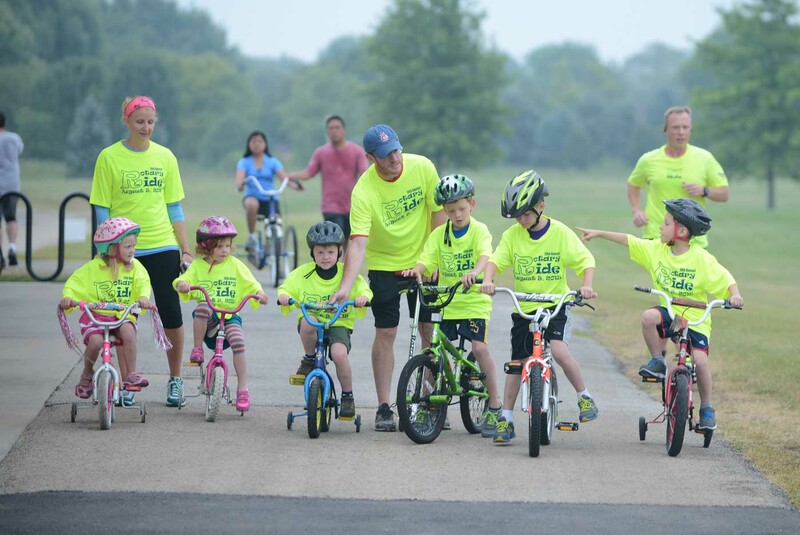 Kids and families can participate in the 1.4 Family Fun Loop by walking, running or riding anything with wheels (non-motorized). The cost is $15 per family. Riders may start at 6:30 a.m. and no later than 10:00 a.m. Cyclists riding the 62 mile route must start by 8:30 a.m. Cyclists riding the 41 mile route must start by 9:15 a.m.
Rest Stops will close at the discretion of Ride organizers. All SAG support will end at 2 p.m. Early Bird Registration is $30 until July 1, $40 by July 31. After July 31, the price goes up to $50, so register now! Riders are guaranteed a t-shirt if registered by July 21. Ride-day / walk-up registration is available on August 11, 2019. This is a well supported recreational ride for beginners and veteran riders. The Ride has a 1.4 mile family loop, 21, 41, and 62 (metric century) mile routes. All routes are SAG supported and Rest Stops are fully staffed with nutritious food & drinks. A light lunch will be served to riders post-ride. Helmets are required for all riders. Safety first. Bikes of all shapes and sizes are welcome. No motorized vehicles. E-bikes okay. The route is an open road course. Riders must follow all rules of the road. If your business or organization is interested in sponsoring the Ride, fill out the form to the right. For questions, email Pat Benton pat.benton@gmail.com or call 630-989-1833. Rotary International and its partners, including the Bill and Melinda Gates foundation, has reduced polio cases by 99 percent worldwide since its first project to vaccinate children in the Philippines in 1979. Rotary is close to eradicating polio. A portion of the Ride proceeds will be donated to make a global impact and protect children against polio forever. For as little as $0.60, a child can be protected against this crippling disease for life. In addition, the Bill and Melinda Gates Foundation matches every dollar that is raised through Rotary Charities to eradicate polio. 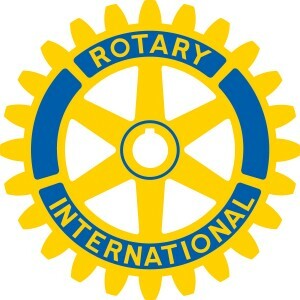 In cooperation with the Naperville Sunrise Club and Bikes for Lesotho, cyclists and bike riders may donate used bikes during the Rotary Ride at Commissioners Park. Bikes are collected, repaired and shipped to kids in Lesotho, Africa, via containers. 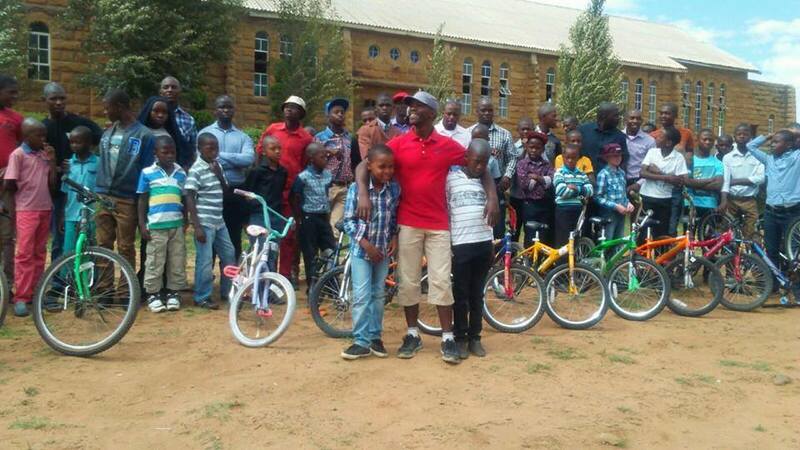 Many of the children who receive the bikes are orphans of the HIV/AIDS epidemic. The cost to collect, repair and ship is $25 per bike. In addition to End Polio Now, the Ride will benefits local charities. 2018 local charity recipients are Loaves & Fishes Community Services, Naperville Responds For Veterans and 360 Youth Services. Loaves & Fishes Community Services has a vision is to end hunger in our community. Their mission is to provide food and leadership in the community by uniting and mobilizing resources to empower people to be self-sufficient..
Naperville Responds For Veterans assists Veterans and their families in need by raising donations of money, building materials and professional labor and coordinates the process of repairing, building and donating homes. 360 Youth Services provides life-changing services through substance abuse prevention education, counseling and housing. The Rotary Club of Naperville / Downtown is one of three Rotary Clubs serving Naperville, Illinois. Chartered in February 2007, RCN/ Downtown is a member of Rotary International and District 6450. This is the first year RCN Downtown will be hosting the Rotary Ride. The Club meets weekly at 4:44PM on most Wednesdays in the Fish Pond at Hugo’s Frog Bar and Fish House in Main Street Promenade, located at 55 South Main Street in downtown Naperville. Typically, members start arriving at 4:30PM for fellowship and fun, take attendance at 4:44PM and begin the official meeting at 5PM where the focus is on engaging and enlightening programs. Look for the yellow Rotary signboard in the plaza for directions to the meeting room. All Rotarians are welcome as well as those community-minded individuals interested in the weekly educational program. The guest fee is $20 which includes delicious appetizers and assorted beverages and/or wine graciously provided by RCN/Downtown and Hugo’s. Weekly meetings are held at Hugo’s Frog Bar & Fish House, usually in Hugo’s Frog Pond, located across the Main Street Promenade, 55 South Main Street, just off Van Buren Ave. This website is designed and maintained by Timothy Penick – Digital Editor of Positively Naperville. If you are having registration or website issues email tim@positivelynaperville.com.